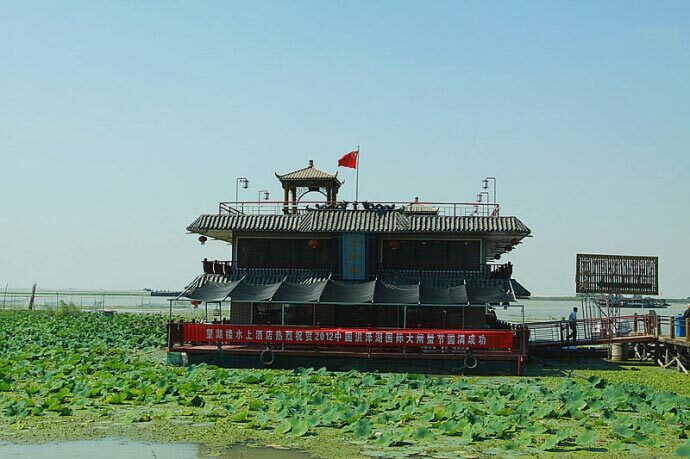 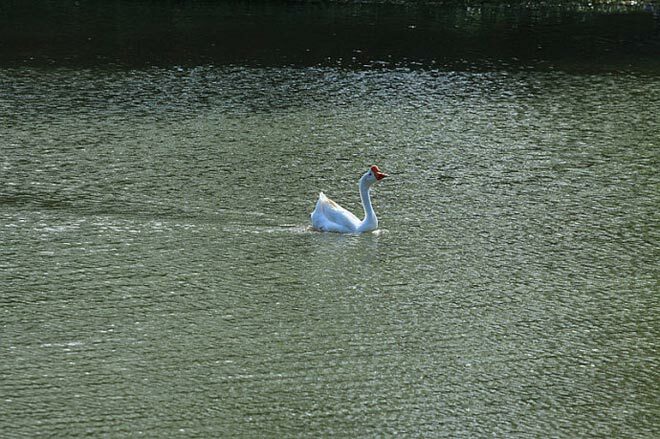 Hongze Lake is the fourth largest freshwater lake in China, located in the downstream of Huaihe River, western Jiangsu Province. 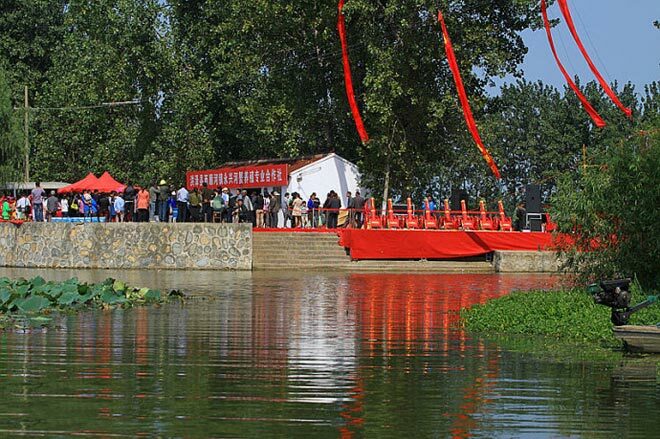 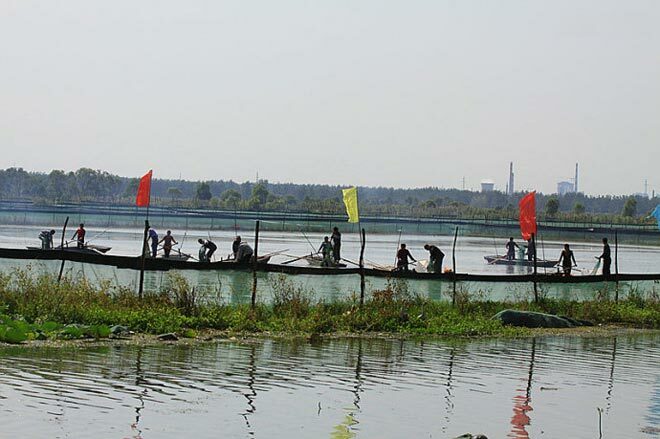 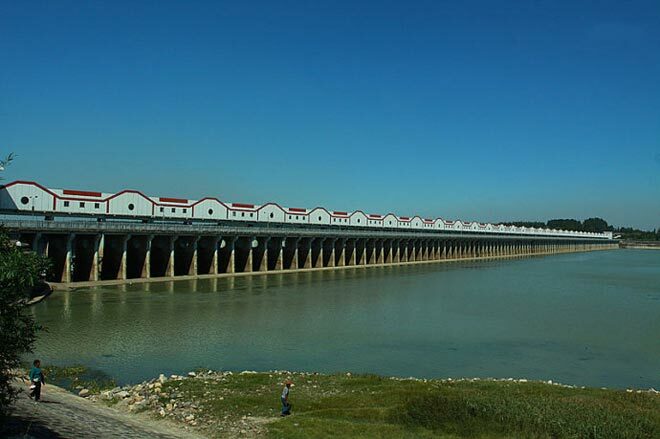 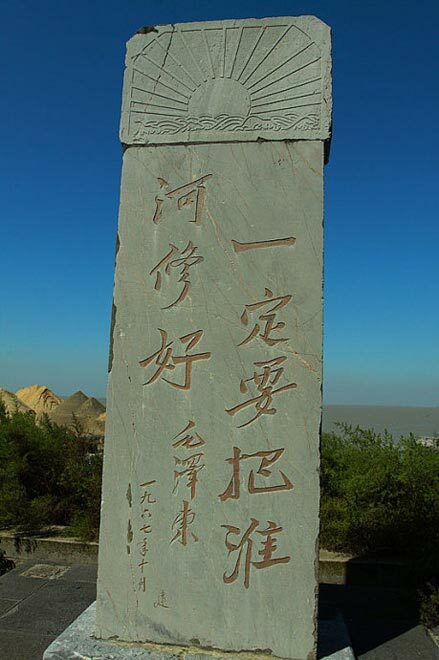 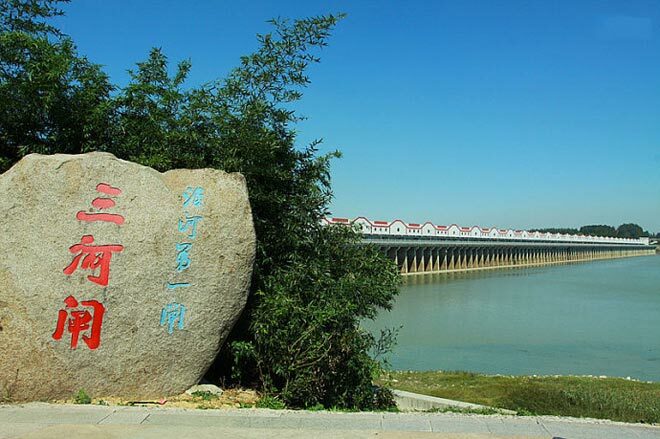 Now Hongze Lake has normal water level of 12.5 meters, with an area of 2,069 square kilometers, the deepest 5.5 m.
Sanhe Sluice is located in the southeast of Hongze Lake, an important control port gate of the downstream of Huaihe River, and also is the backbone project of the Huaihe River Basin. 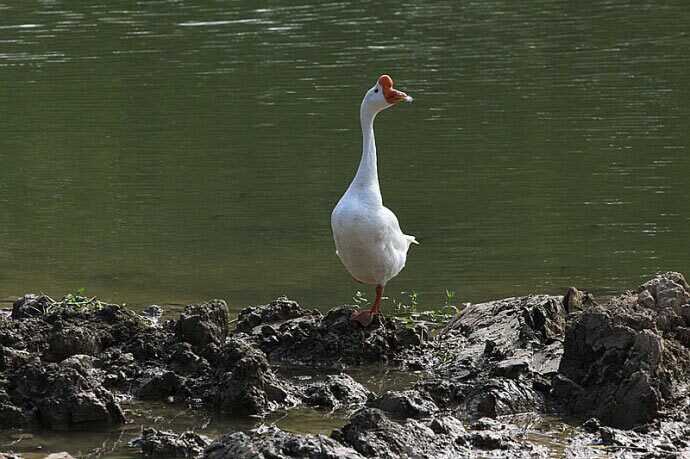 That goose followed us for several hundred meters. 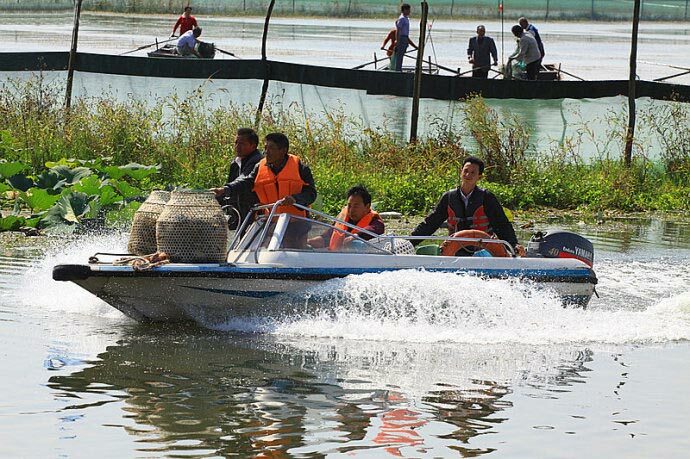 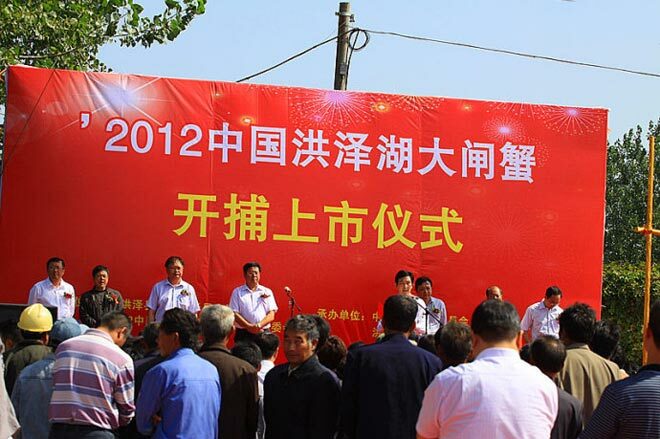 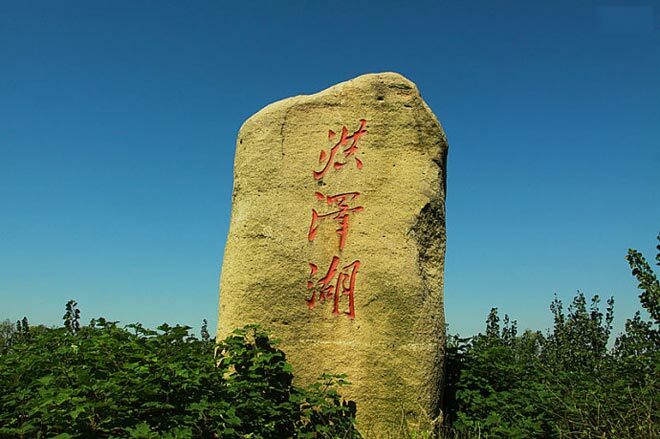 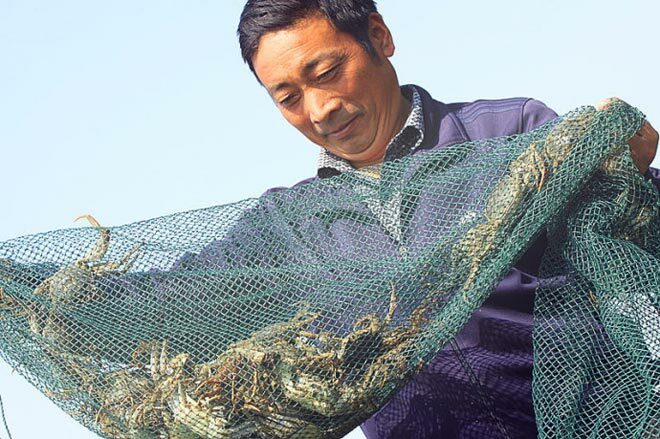 In recent years, Hongze County implements scientific farming relying on the ecological advantages and carries out marketing plan with high-end media. 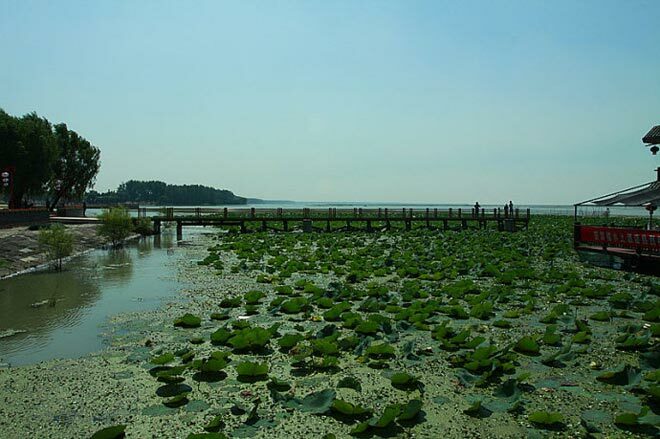 Hongze Lake is the only Living Water Lake among the national Great Lakes. 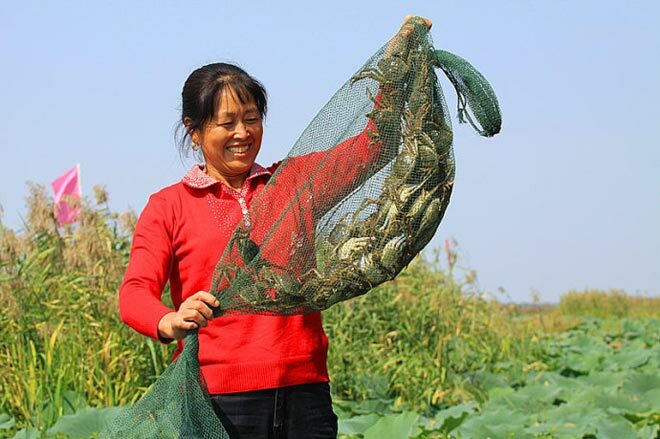 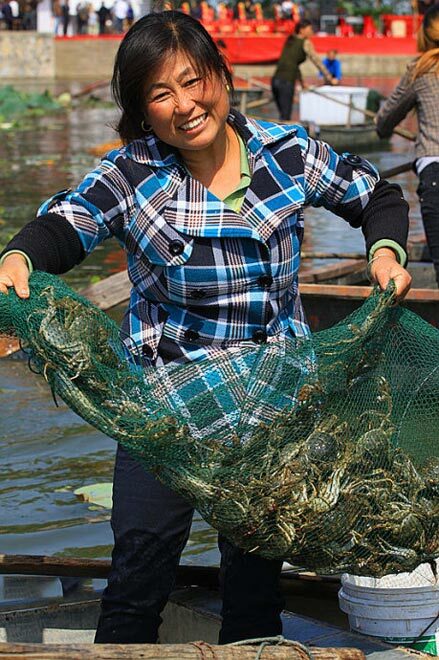 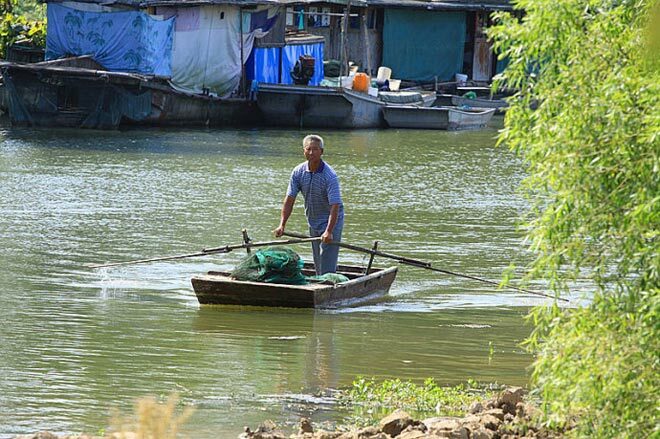 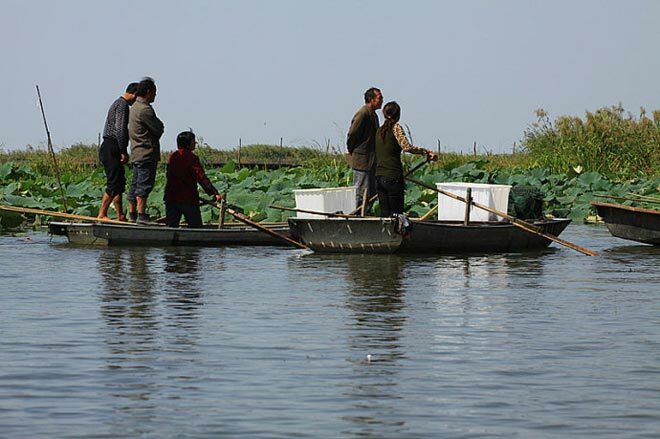 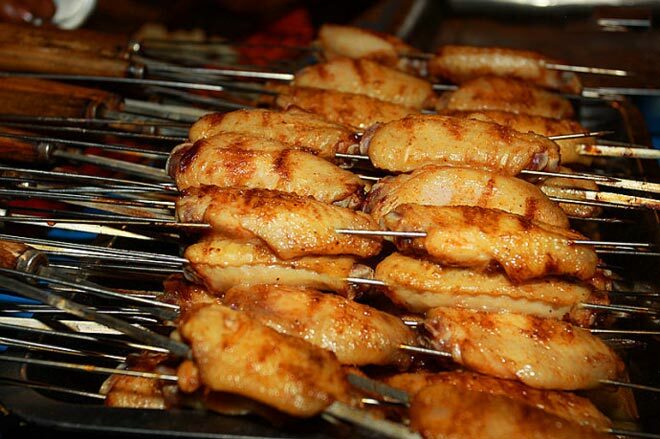 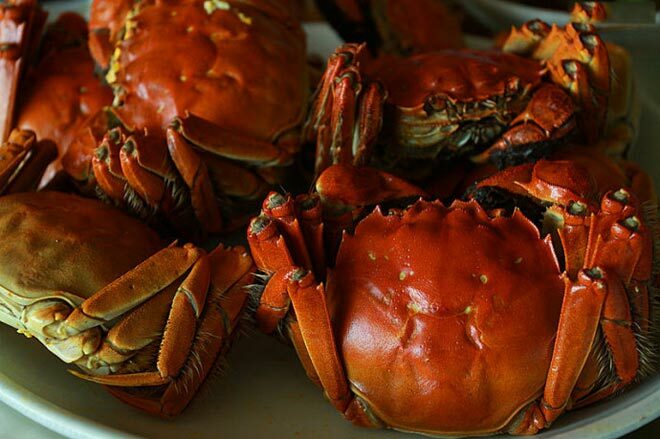 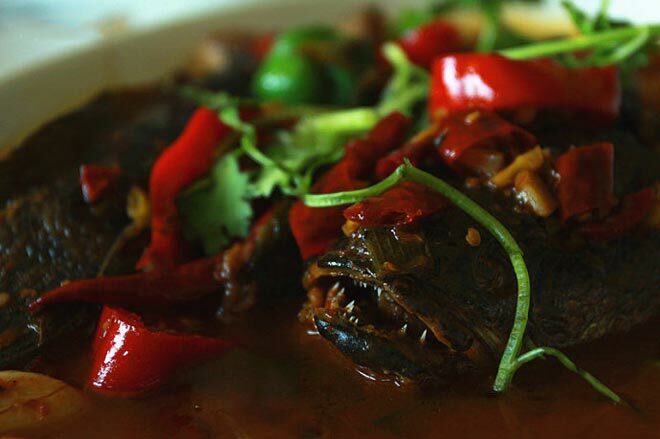 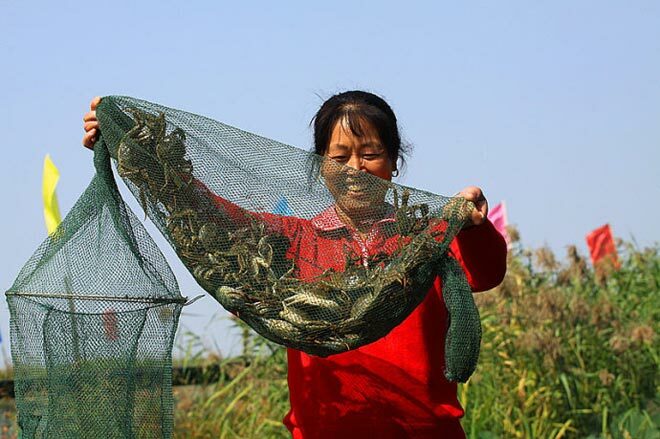 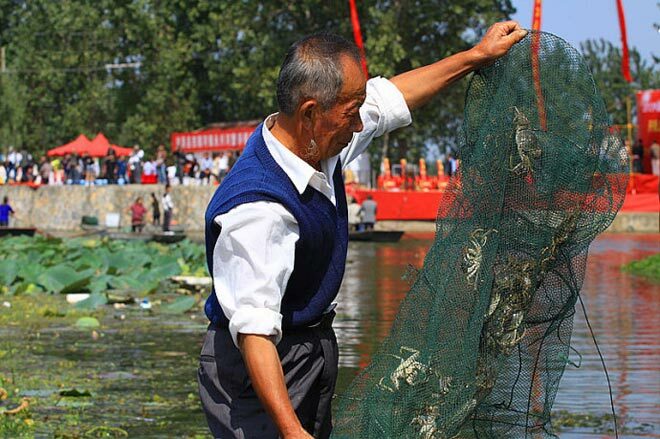 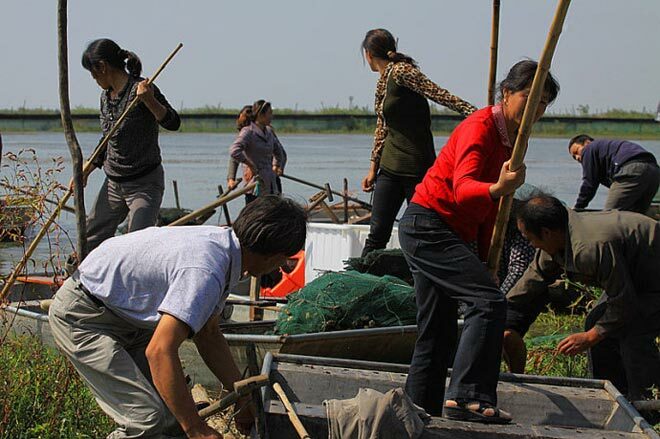 The water quality is good, and extremely conducive to the growth of high-quality crabs. 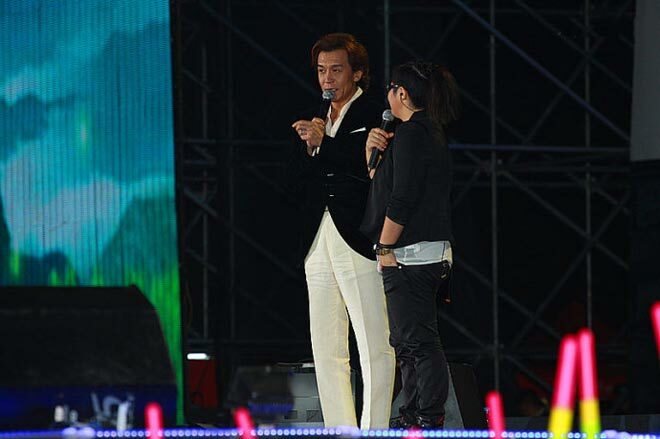 At night, we watched concert which is famous in China: the voice of China.